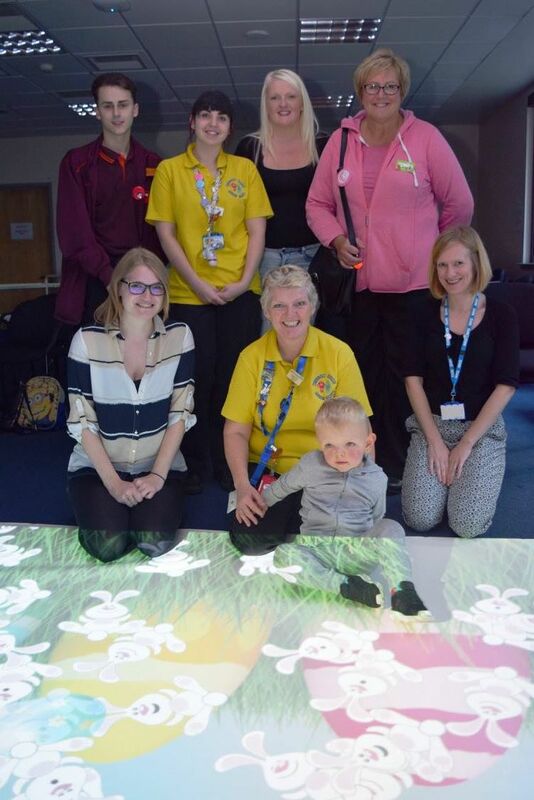 On Wednesday 12th October the Play Team from Willow Ward showcased the arrival of two new mobile magic carpets. 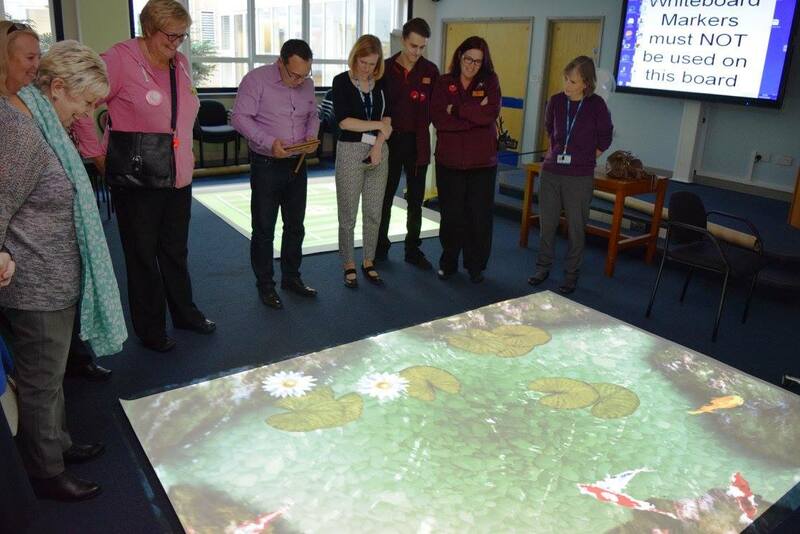 The magic carpets offer interactive games and images which can be displayed on the floor or directly onto the hospital bed. 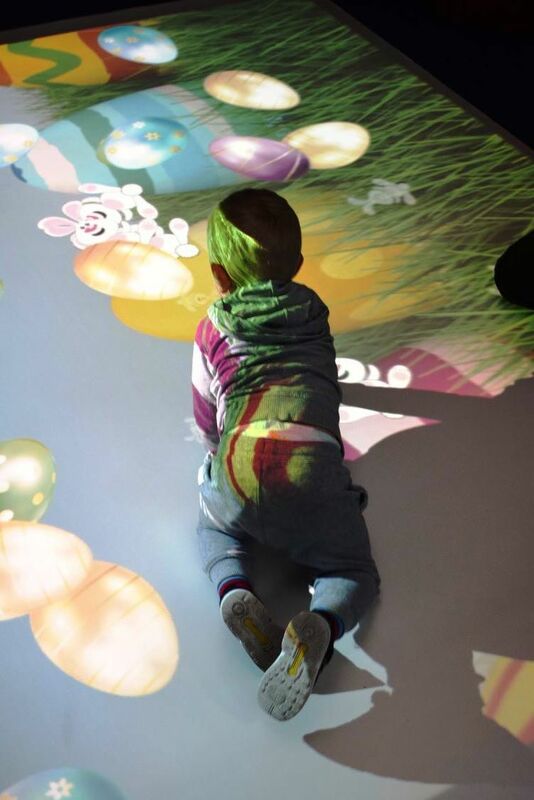 The digital activities are controlled simply by body or eye movements. 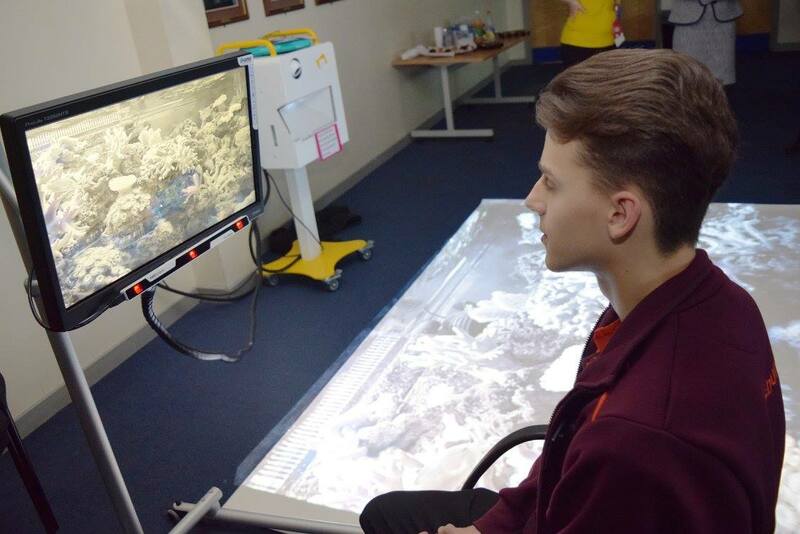 They are brilliant for our young patients who will be able to interact with the games without realising they are being distracted for a procedure or moving their limbs as part of therapy. The magic carpets are especially useful for children who are confined to a bed or wheelchair. There are 35 standard templates including football, fish pond, rocket, piano all of which respond to the slightest movement – even just eyes movement! Plus there are interactive books, educational games and quizzes. 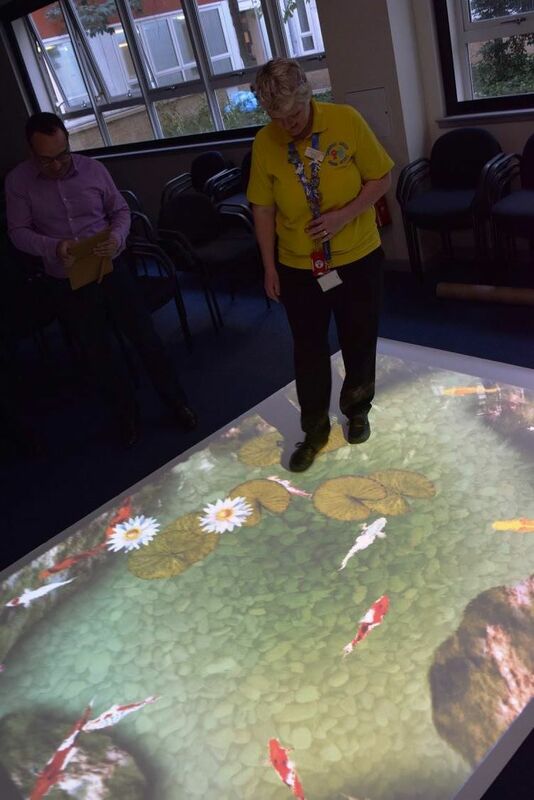 At yesterday’s showcase, Terry Aylmer-Smith, Area Business Manager for Sensory Guru who provided the magic carpets demonstrated the equipment to Susan Acott, Chief Executive and many of those who had raised money towards the purchase. 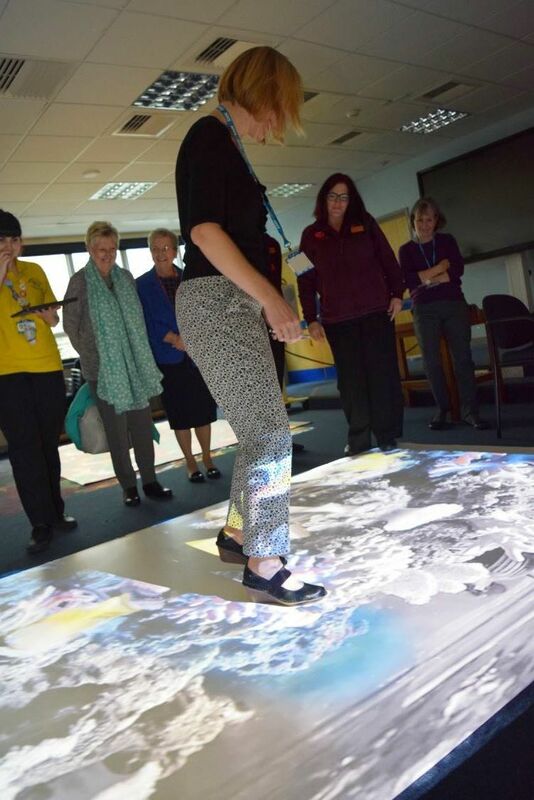 Donna Day, Play Specialist said “the magic carpets are going to make a such a difference to our patients, they are particular useful for spinal injuries, traction and wheelchair patients. Our aim is to use the magic carpets every day, one on Willow Ward and the other in the Paediatric Assessment Unit. I am just so grateful to everyone who has supported us with the fundraising to buy the carpets; we couldn’t have done it without you”. The Trust would like to make a special thanks to Bridget Sparks – @asdagreenhithe, Jack Stobart – Sainsbury’s Pepperhill, Kent Police, @metpoliceuk, Santander UK, the staff on Willow ward and their families and friends. If you would like to experience how the system can benefit your environment, please contact us to book a demonstration.